When looking at the validity of current texts that are copies of an ancient one, it is important to look at the number of early extant manuscripts. It is extremely rare that the original ancient manuscript is available for comparison, so the time gap between an available manuscript and the original becomes important. This gives a total of over 25,000 manuscript copies or portions of the New Testament. Gospel fragments found among the Dead Sea Scrolls dated as early as 50 A.D. Even in the absence of manuscripts, the Bible stands out. Many of the Church Fathers used scripture in their writings, adding even more weight to the idea that the manuscripts we DO have are excellent copies of the original. Clement of Rome (a disciple of the apostles) cited Matthew, John, and 1 Corinthians in 95 to 97 A.D. Ignatius (who knew the apostles well) referred to six Pauline Epistles in about 110. Polycarp (disciple of the apostle John) quoted from all four Gospels, Acts, and most of Paul&#39;s Epistles from 110 to 150. Taitian&#39;s harmony of the Four Gospels completed in 160 A.D.
Irenaeus (who apparently heard the apostles) quoted from Matthew, John, Acts, and 1 Corinthians in 160 A.D.
Of the four Gospels alone, there are 19,368 citations by the church fathers from the late first century on. Even if we had no manuscripts, virtually the entire New Testament could be reconstructed from these quotations. This argues powerfully that the Gospels were in existence before the end of the first century, while some eyewitnesses (including John) were still alive. 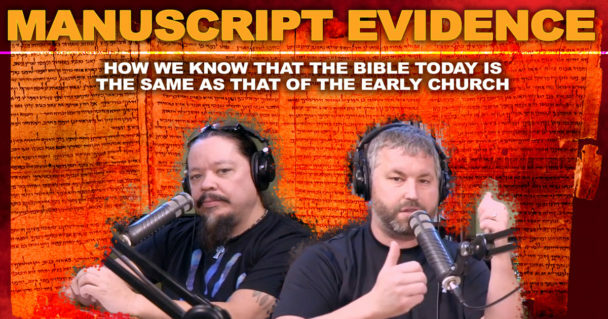 Scholars on both sides of the fence have moved to the view that the entire New Testament was written prior to 70 AD when Jerusalem was destroyed. (Liberal scholar John A. T. Robinson’s book Redating the New Testament. Conservative scholar Kenneth Gentry&#39;s book Before Jesusalem Fell). One of the reasons for their argument for the early date of the New Testament is because there is no mention in the past tense of the destruction of Jerusalem and the temple anywhere in the New Testament, and there is consistent mention of it still standing (even in the book of Revelation).